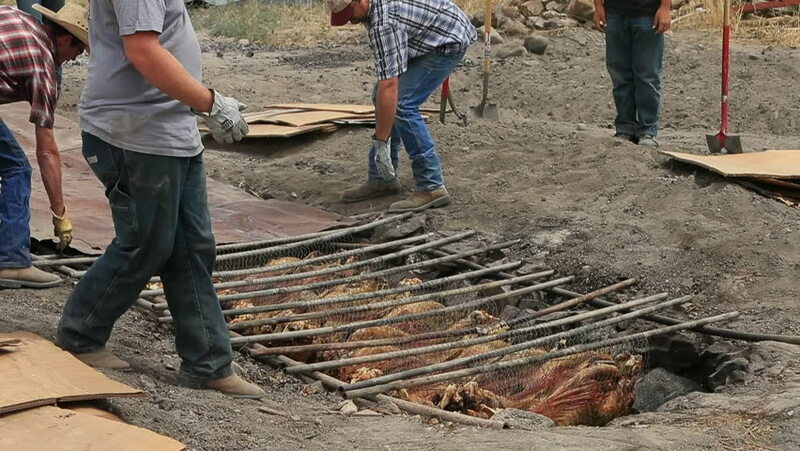 FOUNTAIN GREEN, UTAH - JUL 2016: BBQ in ground rock lines pit lamb dinner. Annual rural community celebration. Lamb sheep industry. In ground BBQ pit cooking making thousands of sandwiches. hd00:12Hikers cross a brook. One helps another. 4k00:46Kiev, Ukraine - March 2019: Bearded man chainsaw in spring. A man prepares firewood for heating the house in the spring.